I've finally reached my favorite part of having babies. It's the part where other people stay up all night with them and do all of the work while I just paint cute name signs for their nursery walls. Don't get me wrong, I love babies. Heck, I love children of pretty much every age...including the grown men and ladies who appear to have suddenly taken the place of not only my two sons but those of my sister's children as well. I'm still trying to figure out how it happened...and when. I swear, I didn't look away, for even a second. Before I knew it, my babies were grown and the oldest is graduating college in a few short weeks. Of course, I still relish the opportunity to help decorate the nurseries of my friends. 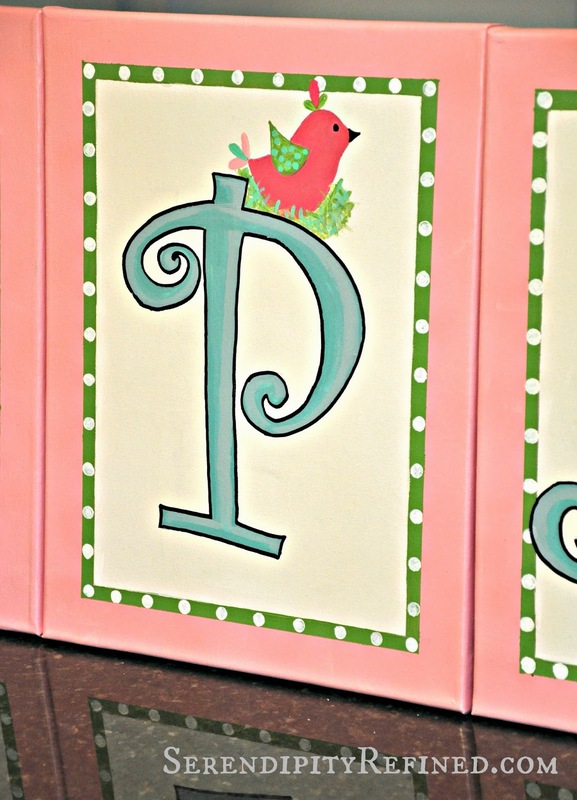 A couple of years ago, a dear friend had a little boy who was to be named, "Gavin". 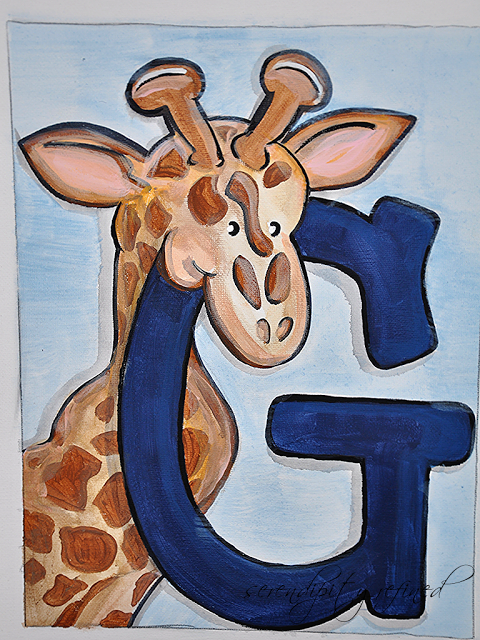 His nursery theme was "Noah's Ark" and the photo above was the first letter of the nursery name sign that I panted for him. 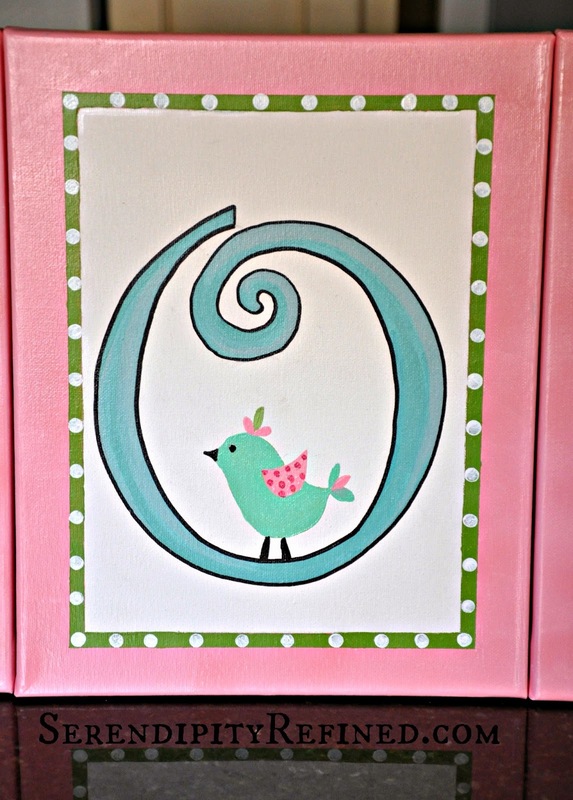 You can see the rest of Gavin's Noah's ark theme name wall art here. 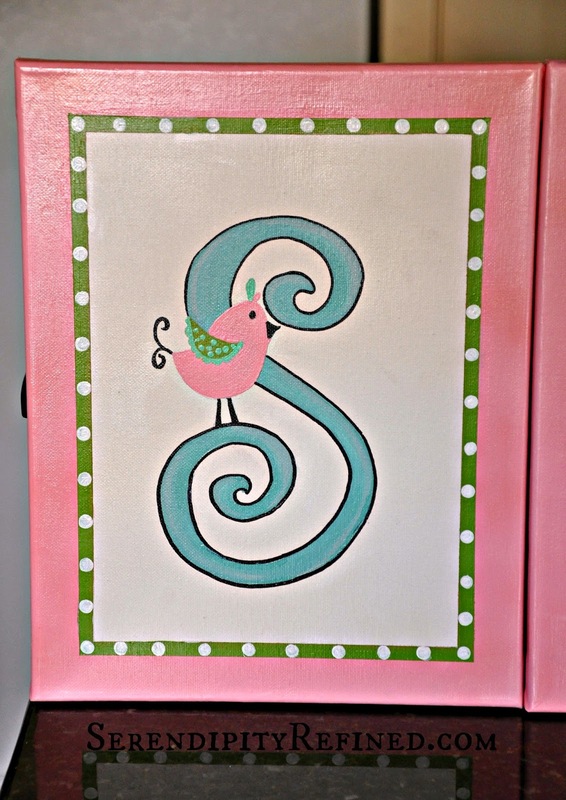 Last summer, when that same friend told me that she was having another baby, I secretly hoped that she'd have a little girl because, let's be honest after raising two sons, I find that there can never be enough opportunities for pink "girly" things in my life. I crossed my fingers and waited for the ultrasound. When she found out that she was having a girl, I was probably more almost as excited as she was! 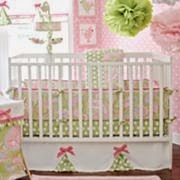 Baby Sophia was born late last year and her nursery bedding is called "Pink Pixie" from JC Penney. Sorry for the quality of the photo but this will give you the general idea. Fortunately for me, Sophia's parents relocated to a new state shortly after she was born and she didn't really have a nursery so I got a bit of a reprieve. The fact that she didn't have wall art became an issue...until now. 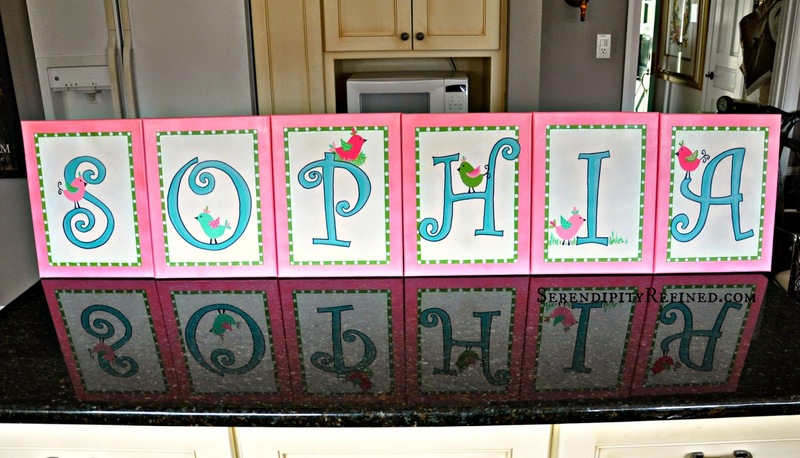 Sweet Sophia, her brother Gavin, and her parents are moving into their new home next week and I wanted to make sure that when the time comes for Sophia to have her nursery set up, she'll have a bit of artwork on her walls. A couple of weeks ago, I got out my craft paint and the canvases that I purchased at Michaels last fall before we moved (hard to believe that I could actually find them) and I painted these canvases for her. 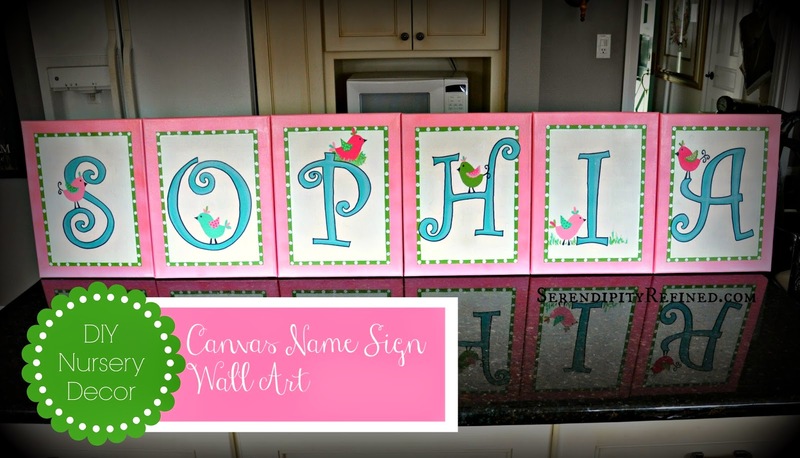 Creating one of a kind, canvas name sign wall art for a nursery is easy. I took my inspiration from the colors of the quilt and a font that I found on the Internet. I sketched in pencil, used masking tape to keep the lines on the border straight, and dipped a pencil eraser into white paint to make the dots. The letters are outlined with black Sharpie marker and painted. Once dry, I sealed them with matte sealer so that they can be wiped clean when needed.